Paige (Gillian Jacobs) and Sasha (Leighton Meester) are best friends and polar opposites. Paige is a type-A environmental lawyer; Sasha is the creative type, a “starving artist,” working as a receptionist while trying to get a record deal. They both decide to go on dates with strangers they meet online. Sasha’s date goes terribly, but Paige’s goes well. She starts dating Tim (Adam Brody), a doctor. With Paige devoting much of her time to her new relationship, she and Sasha must come to terms with the changes occurring in their friendship, attempting to make time for their separate lives without sacrificing their close bond. Life Partners is the directorial film debut of Susanna Fogel. Fogel also co-wrote the film with Joni Lefkowitz, adapted from their own play of the same title. Rather than taking an approach of over-the-top drama to the tale of friends growing apart, Life Partners strives for realism and in many ways succeeds. It’s somewhat rare for films to succeed in capturing female best-friendship, and this film does that very well. From drinking wine while watching Top Model, to fake-fighting as a joke, to harshly judging one another’s significant others out of protectiveness, to giving unsolicited life advice… both the script, and the performances of Jacobs and Meester deliver a solid portrayal of the sisterly bond that forms between inseparable female friends. The issue here is not that Sasha is in love with Paige, but that they’re growing apart, which happens to all friends as they get older and settle down. Things they used to share, like 2 am phone conversations, are now shared by Paige and Tim, leaving Sasha feeling very alone. 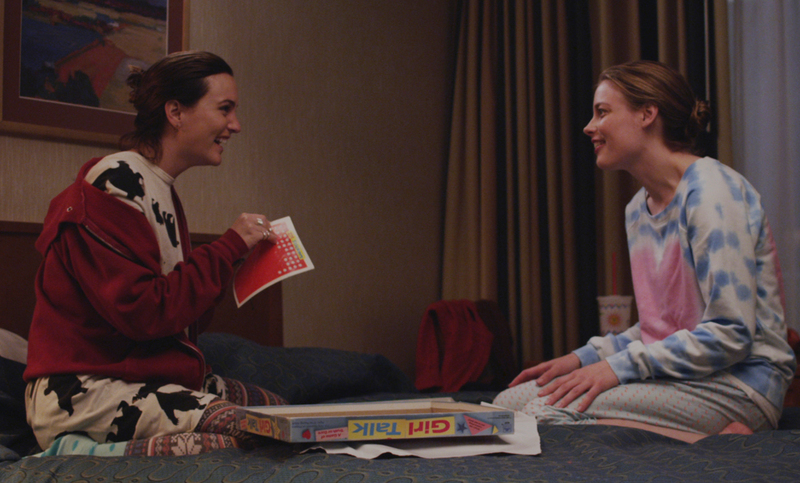 Leighton Meester does a great job of bringing that sense of loneliness to life on screen. A scene in which she begins crying over mozzarella sticks may seem ridiculous to someone who has never been in her situation, but her sadness rings true to anyone who has come close to losing a friendship. Meester’s character is also given layers beyond just her friendship with(/attachment to) Paige. We see her struggle with the current state of her life, the idea of success. She questions whether the dreams she has always held on to are still relevant. This takes the film from a simple story of friendship to a story of being a 20-something, with both sides of the coin represented: straight-laced Paige who has already established her career, and confused Sasha who isn’t quite sure what she wants to spend the rest her life doing. Life Partners isn’t a perfect film. Some of the subplots, such as the dispute between Paige and her neighbor, seem tacked-on. Still, it’s a good watch, worthy of the viewer’s time for its central story, character dynamics, and lead performances. If this is any indication of the type of film that Susanna Fogel plans to continue making, I look forward to seeing what she comes up with in the future! My best friend and I were exactly this when we used to live together. It’s crazy how intense a friendship can get.